Discussion in 'The Arcade' started by facePuncher7, Mar 30, 2019. As a lifelong combat sport and gaming fan, I've always been interested in the development of combat sports games. My favorite of all time is Fight Night 2004, I think they nailed the brutality of actual combat in that game, it was relentless. The realism wasn't there, but it was fun and more realistic than a lot of its competitors. I also think the career mode was pretty solid despite its simplicity. What are some things you would want to see implemented in future combat sports games that haven't been delivered yet? Personally, I'd like to see a much more fleshed out and detailed injury/damage system. Dynamic broken bones, cuts, bleeding, bruising etc, with both long and short term effect. Weirdly I think it'd help to be more focused on your feet instead of your hands. Balance should be used somehow. Quipling and Dinotective like this. I agree wholeheartedly. Fight Night 2004 + Fight Night 2 were good in that regard, but I still think it should be a much bigger factor also. 4D boxing is still the best boxing game I've ever played. It's the only game where movement was more important than punch timing. 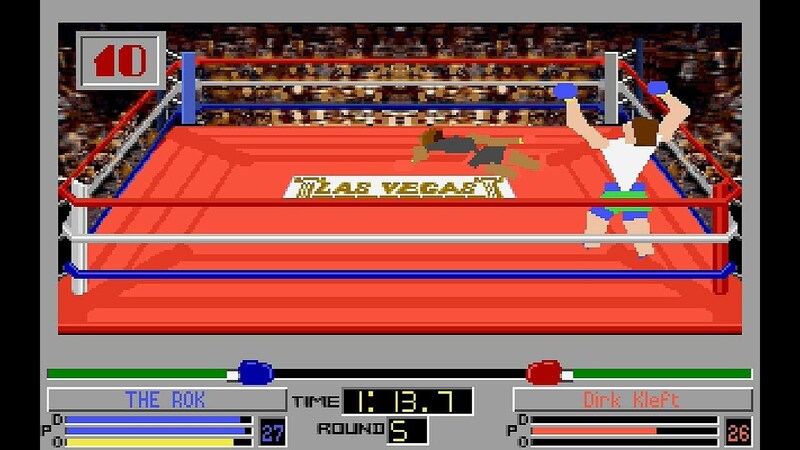 While the Fight Night series was clearly the best implemented series of boxing games....i have a soft spot for Victory Boxing 2, that was a great game, and given a license and some polish, could have been the very best. I’m a big fan of the immersion that you get with Creed on PSVR. Everyone who’s played it at my place has loved it. It’s not the most technical game but you have to move, dodge, parry and punch at the right time.